Scholars’ Spotlight: Leon Schoonderwoerd | Music Matters | Because it does. Doesn't it ? Continuing the series profiling University Music Performance Scholars and Performance Award students. 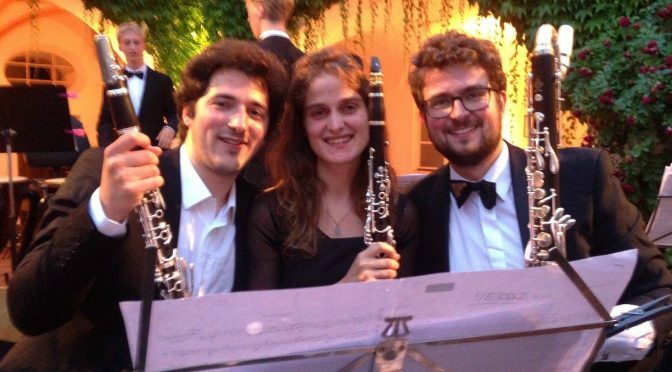 This week, second-year Physics post-graduate and clarinettist, Leon Schoonderwoerd. My name is Leon Schoonderwoerd, born and raised in the Netherlands. I am a second-year PhD student in Theoretical Physics, as well as a recipient of the University of Kent Music Performance Award. My musical journey started with clarinet lessons at age 7, which I continued all through primary and secondary school. 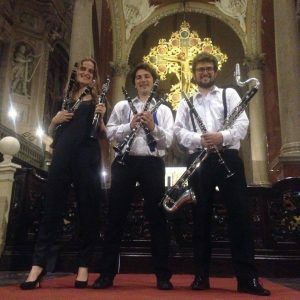 A few years later, I joined a local wind orchestra where I worked my way from third clarinet in the youth band to first clarinet in the main orchestra in a few years time. Meanwhile, I taught myself to play drums and played in a few small bands, unfortunately none of which made it very far. After a trial lesson at the Amsterdam conservatoire, I decided to not enrol there but instead pursue a science degree. I studied at the University of Amsterdam for six years, obtaining first a BSc in Natural and Social Sciences, then an MSc in Theoretical Physics. During this time, my music-making was mostly on hold, with the exception of a band I started with a few friends during the master’s. We played a few gigs, but when our frontman moved to Germany to pursue a PhD, we decided to quit while ahead. 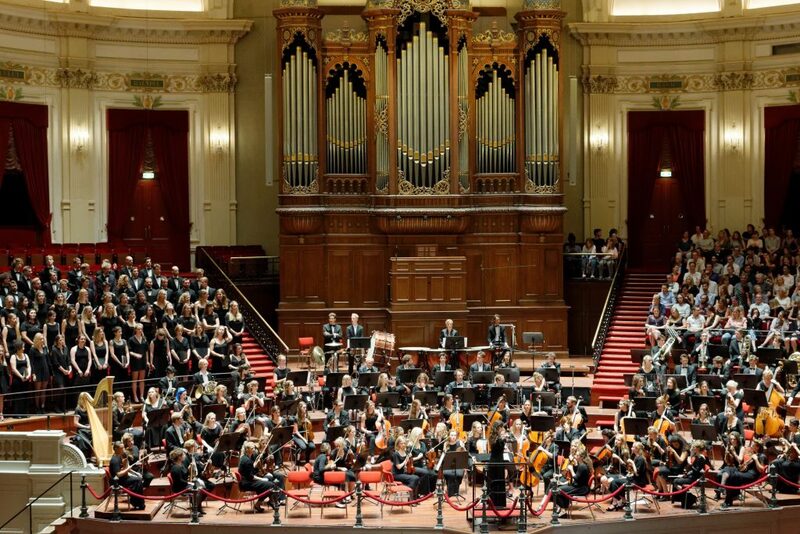 After finishing my Masters, I lived and worked in Amsterdam for another year, during which I joined a student orchestra. My background in classical music combined with my experience on the drums allowed my to fill their vacancy for a percussionist. 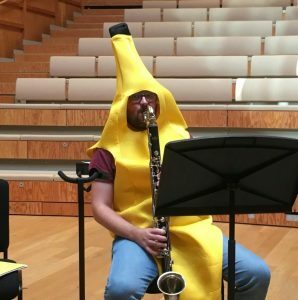 When after one programme the opportunity arose to switch over to bass clarinet, I took it. This was a truly great year for me, playing pieces such as Ravel’s Piano Concerto, Rachmaninov’s Symphonic Dances and Janáček’s Sinfonietta. 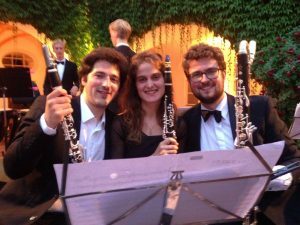 The year ended with a bang when we joined forces with a student orchestra to give a series of concerts in the Netherlands (ending in a sold-out Concertgebouw in Amsterdam) as well as a three-concert tour abroad in Freising, Germany and Bologna, Italy. By this time, I had accepted a PhD position with Gunnar Möller at the University of Kent, so in the summer of 2017 I moved from Amsterdam to Canterbury in pursuit of science. Here, I joined the lively music programme, which awed me with its beautiful concert hall and proceeded to take over most of my free time. During my first year at Kent, I played bass clarinet and percussion in the University Symphony Orchestra and Concert Band, sang bass in the Chorus, joined the pit band for two musical theatre shows and started a woodwind quartet. Music at Kent thus provides me with ample opportunity to take my mind off physics. Many thanks to the Music Department and Music Society for making all this possible! 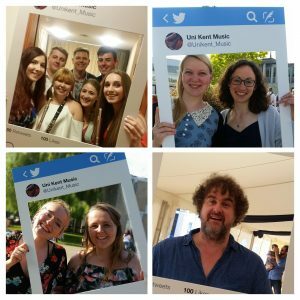 The Music Performance Award is open to returning students at Kent, and offers a year’s worth of instrumental / singing lessons in support of a holder’s contribution to the musical life of the University: read more here.